What Apartment Lease-Up Pricing Strategy Are You Using? A landlord’s approach to dynamic rental pricing depends on their personality, their investment goals, their appetite for risk, and the reality of the marketplace around them. In the purpose-built rental apartment industry, there are five standard archetypes. Which are you using? This may be the most common type of purpose-built rental apartment owner. The Balanced Pricer takes a middle approach when it comes to taking risks and protecting their investments. The Balanced Pricer will raise rents when the opportunity presents itself but will take a more cautious approach if vacancy or exposure rates get too high. This average approach is often favoured by owners of average, stable buildings, especially in areas where significant new construction is adding to the number of competitors. While the Balanced Pricer is unlikely to push their rents above their surrounding markets for long periods of time, they won’t fall behind, either. It’s important to note that Balanced Pricers aren’t being passive. They pay attention to the marketplace and set their rents accordingly. Savvy Balanced Pricers know how to read trends in demand and can shift to a more aggressive or defensive posture as conditions change. A more conservative type of building owner is the Occupancy Defender. These owners are looking for steady income streams rather than aggressive growth, and therefore look to keep unit vacancies as low as possible. Occupancy Defenders also pay attention to the market, but take a defensive approach, keeping rents close to parity with their competitors so their properties don’t lose residents. Balanced Pricers sometimes become Occupancy Defenders, particularly when a recession increases vacancy rates, making increasing rents a very risky proposition. But they will return to being Balanced Pricers when a rising market reduces the risk of pushing rents. Occupancy Defenders will typically continue to price below reference rents when they’re trying to stimulate more demand and reduce vacancies, and will only push rents when their competitors are deemed no threat. Where many apartment owners favour conservative pricing strategies, the Rent Driver is a notable exception. Rent Drivers are far less averse to the risk of taking on higher vacancy rates, letting units sit empty for longer periods of time until they find tenants willing to pay the rents the Rent Driver wants to charge. Typically, a Rent Driver will not lower their rents, even in the face of such moves by their competition, or a slowdown in the marketplace. Rent Drivers are often looking to increase the value of their property, by showing potential investors the remarkable rents that they can achieve. Even at a 5% vacancy rate, high rents in the remaining units will have more impact on the sale price of the building. Rent Drivers are often found in markets where rental supply is limited, due to geographic limitations or zoning rules. Restricted supplies reduce the risk of units going vacant, and the Rent Driver is more willing to take on the risk of building a new apartment community, even though new construction can be expensive and time consuming in these markets. A big challenge for a Rent Driver is maintaining the confidence of the leasing team that’s on site. They have to patiently accept the uncomfortable feeling that can come from leaving multiple units unleased. The Rent Driver needs to communicate with the team and sell the vision of pushing rents, because others who work in the industry can find the approach unusual and alarming. The opposite of the Rent Driver is the Vacancy Allergic. These owners are more risk averse than the Occupancy Defenders. They want as close to a fully leased-up building as they can get, and are willing to forego rent growth, and even drop rents considerably in order to make sure their asset stays full. Vacancy Allergic owners typically do this for one of two reasons. One may be looking for a consistent revenue stream to show potential owners and investors. Some investors may not need to see large returns on investment, as long as they can count on a steady income. The other type of Vacancy Allergic owner may be one with large assets, such a large portfolio in a major urban area. Even at a 2% vacancy rate, the apartment owner of 100 units may be able to forego the revenue of 2 empty units, but the owner of 1000 units may be less willing to forego the revenue of 20 such units. Lease-Uppers have apartments which are almost finished construction. This is perhaps the riskiest time for these owners. They need to have vacancies filled and pro-forma rents and occupancy rates achieved in order to stabilize their apartment asset. Unless a new construction apartment building is significantly ahead of schedule in being rented out, Lease-Uppers will thus not push their rents, focusing more on building occupancy. Furthermore, they’ll often offer concessions to prospective tenants, despite their costs, on the understanding that those concessions will fade over time, but rents are being paid now. Once these new apartment communities achieve their occupancy goals, many Lease-Uppers will change their behaviour, and will aggressively pursue rent growth. This is especially true if the owner plans to sell their apartment community shortly after stabilization is achieved. A developer may also seek to drive rents forward at a building they decide to keep, especially if they are planning to build a new community in the same submarket. Decreasing rental rates at the newly-opened community could prove a drag on potential rents in the newer development. 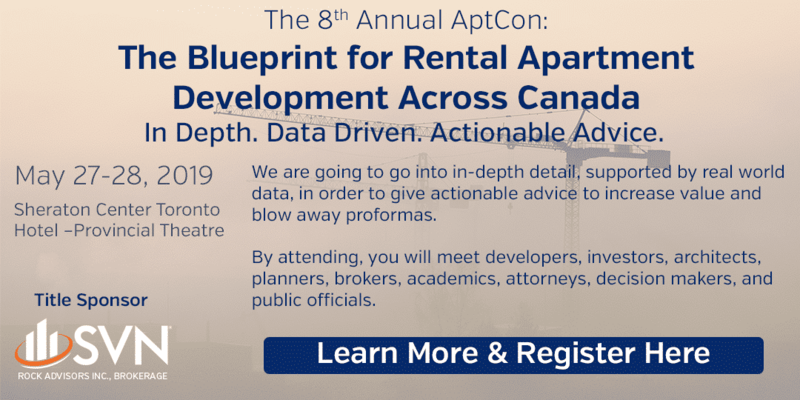 By learning these pricing personas, owners and developers of purpose-built apartment communities can identify and communicate the strategies they wish to follow as they build their apartment investments. The apartment owner or developer not only needs to know who they are, they need to convey that to their leasing teams which help them rent out their assets. Every asset is different, and there is no single right path to prosperity. Every apartment owner or developer needs to understand their approach to risk, what their goals are, and how that compares to the marketplace they are working in. The purpose-built rental pricing strategy apartment industry is not a one-size-fits-all sector. Some apartment management companies embrace the risk that comes with aggressively pricing rent growth, while others guard their investment against the slightest vacancy loss. Approaches can also change over time, as market conditions and ownership goals change. This is why it is important to understand the goals you have for your apartment investment, and your willingness to accept risk. New Construction Apartment Consultants with experience in the purpose-built rental apartment industry can help owners or developers identify their personality, and offer advice on the best approach to take when setting a pricing strategy for rents. SVN Rock Advisors Inc., Brokerage is an Ontario-based commercial real estate, consulting and new construction lease-up company with an exclusive focus on the apartment sector. We are a boutique brokerage firm that specializes in multi-residential properties (apartments). Our specialty is in delivering institutional quality services to private capital owners and investors while representing buyers and sellers of apartment properties in the transaction process. With this exclusive focus on apartments, we have developed world class systems and processes that allow us to handle every type of apartment transaction with efficiency.